During my training I have worked in organisational settings before establishing my private counselling practice, covering South Gloucestershire. I work from two locations: Downend and Thornbury. I also offer Counselling within secondary schools in North Somerset, working with students at their schools. I hold a Higher National Diploma in Counselling Practice. I am a registered member of the British Association for Counselling and Psychotherapy (BACP) and adhere to their Ethical Framework. As well as private referrals, I receive referrals from Employee Assistance Programmes (EAP) and from local youth organisations. 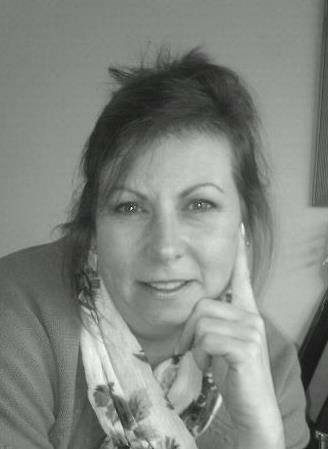 I am an Accredited member of NCS (National Counselling Society), and hold an Advanced Diploma in Clinical Supervision. This means I can offer valuable, supportive Supervision to fellow Counsellors, Students & other professionals. I work as an Integrative Counsellor. This means I believe that every individual is unique and by taking this approach I can therefore tailor my practice to my client’s needs. My initial training in counselling was Humanistic. This means I work in a Person Centred manner and bring in elements of Gestalt, Cognitive Behavioural Therapy (CBT), Solution Focused Therapy and Transactional Analysis (TA). I begin the counselling by establishing a working relationship so that we can clarify and define problem areas where we can agree to work together. My work is client led and this enables the client to choose whether to work short term on an immediate issue or longer term on underlying themes. Integrative counselling is a very empowering process and my aim is to enable your own inner strength so that you can move forward on your own. The therapy is one-to-one and an equal, rather than pupil/teacher relationship. I regularly attend workshops and training days to keep my experience up to date and because I am interested in any new approaches, and in the field of counselling, in general. I think it is important for my own personal development to be continuously learning and to be open to new ideas. Mindfulness, Solution Focused Therapy, Anger Management, Working with Adolescents, Play Therapy, Relaxation Techniques, Stress Reduction, Dealing with Conflict and Aggression in Children, Working with Addiction, Equality and Diversity, Attachment and it's Legacy, Couples Counselling, Emotional Freedom Therapy. I have regular Supervision from an experienced Integrative Supervisor. I am fully DBS checked.